Members of Ronhill Cambuslang Harriers got off to a flying start in 2016. Jamie Reid and Gordon Robertson finished first and second in the Beith road race on January 2nd while under 17 Eamon Carr recorded victory in the younger age group. 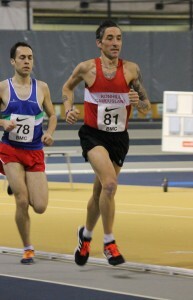 There was more success the following day at the Scottish 3K Indoors Championships held at the nearby Emirates Stadium with age group national titles being won by M35 Robert Gilroy, M45 Kerry-Liam Wilson and M65 David Cooney. There were silver medals too for U17 Struan Paton, M50 Chris Upson and M55 Colin Feechan with M40 bronze for Justin Carter. The club was also well represented at the Scottish Inter District Cross Country Event held at Edinburgh on 8th January. 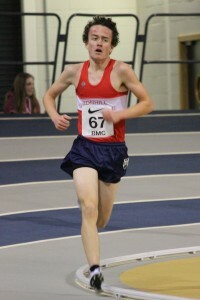 Craig Jardine represented the Scotland U20 team in the incorporated Celtic Cross Country International while Eve Mackinnon and Alex Lamond competed for the Scottish Universities team. The club also had a good number of athletes in the West District Team such as Christopher McLew, Drew Pollock and Ryan Stephen in the U15 race and Gavin Smith and Struan Paton in the U17 event. The club’s major representation came in the men’s race with Kyle McLellan, Robert Gilroy, Iain Reid, Kenny Campbell and Kerry-Liam Wilson running for the West Team and Willie McRury for the North Team. The club achieved further success at the Edinburgh Event in the open 5K road race around Arthur’s Seat through Sarah Benson’s excellent victory in the ladies category supported by Kirsty Anderson in 7th place. 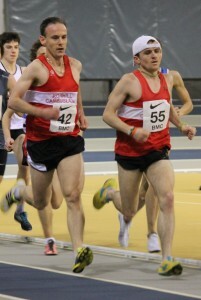 New member David Cole underlined his potential in finishing 9th overall in the race and first O35 runner. 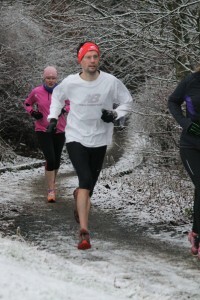 Club members were also prominent in 5K Parkruns last weekend. Ben Hukins recovering from injury and illness won the inaugural Livingston event in snowy underfoot conditions while Justin Carter and Chris Upson were victors at Tollcross and Victoria Park Glasgow and Steven Phillips was 3rd at Strathclyde Park.